Willie Roi has been informed by Management of Zylofon Media to stay off all activities on live radio on Zylofon 102.1FM, with special mention of his pundit role on ‘Showbiz Agenda’, the entertainment morning show on the dial until further notice! Head of Communications, Sammy Baah, confirmed the decision by Management. His commentary and outburst on the station plus his social media posts have come under severe criticism thus putting his employers in the bad light almost all the time. 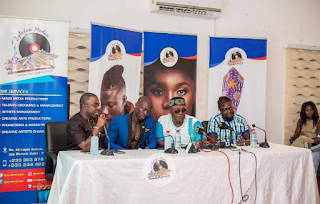 It is also not clear if Willie Roi has also been barred from making appearances on other stations, but as it stands now, Management of Zylofon has directed him to concentrate on his core job – training the up and coming stars at the Zylofon Arts Club.